This has to be one of my absolute favourites! I can't at the best of times resist dulce de leche in any dessert but this one is particularly yummy!!! I remember one day being at the family home in Rosario and my mum's aunty Llemy brought a treat for my dad... the Alfajor Provinciano - I have never looked back since!! In a bowl place the flour, egg yolks, egg, sugar, butter, port, and water and mix well. Let the mixture rest for 40mins. In an oven pre heated to 180 degrees place the discs onto a baking tray and pinch the top with a fork. As soon as it is cooked through take the discs, place on a plate and place a thick amount of the dulce de leche on each layer, layering one over the other until the discs are all used. The top layer should be covered in Dulce de leche. Leave to cool. You can place pavlova around the outside or some powdered sugar or a layering of nuts- but I can honestly say- the simple version is the best! Enjoy! 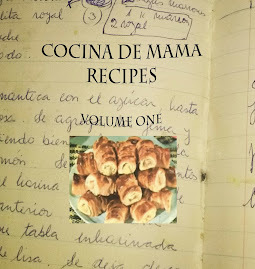 Your recipes are delicious, I cant even begin to tell you how much I enjoyed reading your posts.I really look forward to following your posts and recipes.